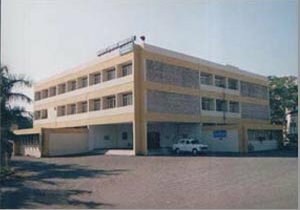 It is located in Jamnagar, Gujarat. In the year 1952 Government of India had established a research center for Ayurveda at Jamnagar. 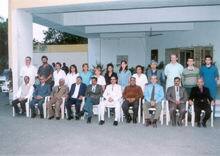 Further a Post Graduate Training Center in Ayurveda was also started in the year 1956. These two institutes were amalgamated in 1963 and renamed as Institute of Post Graduate Teaching and Research. This Institution is fully financed by Government of India and administrated by Gujarat Ayurved University. This premier postgraduate teaching Institution of Ayurveda has best facilities available for teaching and research in Ayurveda. Till date nearly 1301 Post Graduate theses have been submitted and awarded the degree. Nearly 115 theses have been awarded the degree of Ph.D. The course offered by this university are: Bachelor of Ayurvedic Medicine And Surgery (BAMS), Introductory Course in Ayurveda, Certificate Course in Panchakarma, Certificate Course in Ksharasutra, M.D. (Ayu), and Ph.D. (Ayu). The duration for the courses is: 3 years for M.D. (Ayu), 2 years for Ph.D. (Ayu) and 51/2 years for B.A.M.S. There are nine teaching faculties in the Institute and provide facility for teaching and research in 13 specialties for Post Graduate and doctorate degrees. After successful completion of three year course a degree of Ayurveda Vachaspati M.D. (Ayu)/ Ayurveda Dhanvantari M.S. (Ayu) is awarded by the University. Thirty four stipendiary seats are available for the Indian students coming from all over the country. Among these, three seats are reserved for the teachers and medical officers of Gujarat state Ayurvedic colleges, three seats for Govt. of India nominees and three seats for foreign students recommended by Govt. of India. Institute enrolls scholars for Ph. D. degree on regular residential basis. These students have to devote minimum two years duration for research in the concerned department. Gujarat Ayurveda University being a premiere institution of Ayurveda and W.H.O. collaborative center became a center of attraction for foreigners. Students from Nepal, Sri Lanka, and Mauritius came here for regular P.G. degree course. The University started a three-month introductory course in Ayurveda in 1990. Since then students from the countries like Germany, Poland, England, Iceland, Switzerland, Netherlands, USA, Canada, Malta, Russia, Ukraine, Mongolia, Australia, Vietnam, Japan, Reunion Island, UK, Poland, Russia, Korea, Finland, Italy, Israel, Turkey, South Africa, Myanmar, Denmark have come to this University to attend various courses. 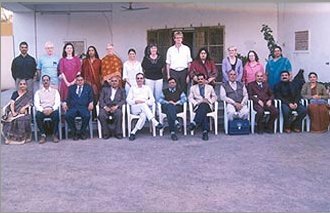 In 1998 the University has broadened its objectives and set a goal to popularize Ayurveda in foreign countries and opened all its courses for foreigners. Many new courses have been introduced exclusively for foreign nationals. Address: Jamnagar - 361 008, Gujarat.